Even though a healthy long period of breastfeeding promotes healthy lung development in most babies, it may pose a problem for babies born of mothers with respiratory disorders. 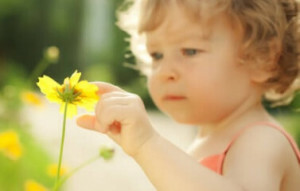 These babies may develop asthma, according to research on the subject. It appears that babies that were breastfed for over four months from mothers who had asthma had lungs that functioned worse than babies who had been breastfed under the four-month period. All mothers are concerned about their baby’s health and breastfeeding is the most natural way of feeding a baby providing important nutrients, which are essential for the babies immune system and development. Yet, the verdict is not in on asthmatic mother’s providing a healthy source of food for their growing baby. These findings, do suggest that that breastfeeding is not the best strategy for keeping an infant healthy and it looks like bottle feeding may be a better option at this point, however, researcher and doctor Theresa W. Guilbert, MD, suggests that it is premature at this point yet to tell. Dr. Guilbert told WebMd that these finding have not yet been confirmed. Dr. Guilbert breastfed her own three children and maintains that breastfeeding is best for babies. Research has shown that breastfeeding promotes healthy brain development, while children who have been breastfed tend to have less ear infections than children who are not breastfed. Dr. Guilbert does state that breastfeeding, is the most natural way of feeding a baby; however, it does not always have positive results. Dr. Guilbert and her team conducted one of the longest follow-up studies examining the affects of asthma and allergies on children in this kind of research. Dr. Guilbert and her team analyzed data in a longitudinal study called the Children’s Respiratory Study in Tucson, Arizona. This study covered 679 children subjects from birth into their teens. They were testing for asthma and allergies among the children. Lung function was the testing criteria used to assess asthma. The children were tested at the age of 11 and again another test was done at the age of 16. What they found in their research was that children born of mothers who did not have asthma had improved lung function when they had been breastfeed for 4 month or longer. Also children who were predisposed to allergies also had improved lung function if they were breastfeed for more than 4 months or more. The total opposite ran true for the children of asthmatic mothers. They tested these children with children of asthmatic mothers who breastfeed less than 4 more and they found that when tested at the age of 16, the children of asthmatic mothers who were breastfeed for 4 months or longer had a 6 percent reduction in lung functioning. According to Dr. Homer A. Boushey an asthma expert, these findings are very significant. These have been published in the American Journal of Respiratory and Critical Care Medicine. Should Asthmatic mothers stop breastfeeding? Dr. Boushey who was also the past president of the American Thoracic Society, says that it is way too soon to advise mothers to limit breastfeeding based on this study alone. It is for certain though that breastfeeding for the first 3 months of life is healthy and important and asthmatic mothers are encouraged to continue. He also advises that asthmatic mothers such not stop taking their medicines thinking that the medication will harm the baby. Asthmatic mothers must continue on their medication as prescribed by their physician. Dr. Boushey continues on to say that yes, a small amount of the medication (corticosteroids) might be passed on to the baby, but there is no risk to the baby if this happens. In regards to the actual study, the study did not take into account if asthmatic mothers had their asthma controlled, but the doctor states that it would make sense that those babies born of mothers with uncontrolled asthma might be at a greater risk. Dr. Boushey contends that it is important to take the corticosteroids because they are designed to fight the inflammation. Breast milk may transfer the inflammation found in asthmatic mothers if they are not talking their mediations. Therefore if the mother’s asthma is controlled well, there is less of a change for the inflammation to be transferred unto the baby by way of breast milk.